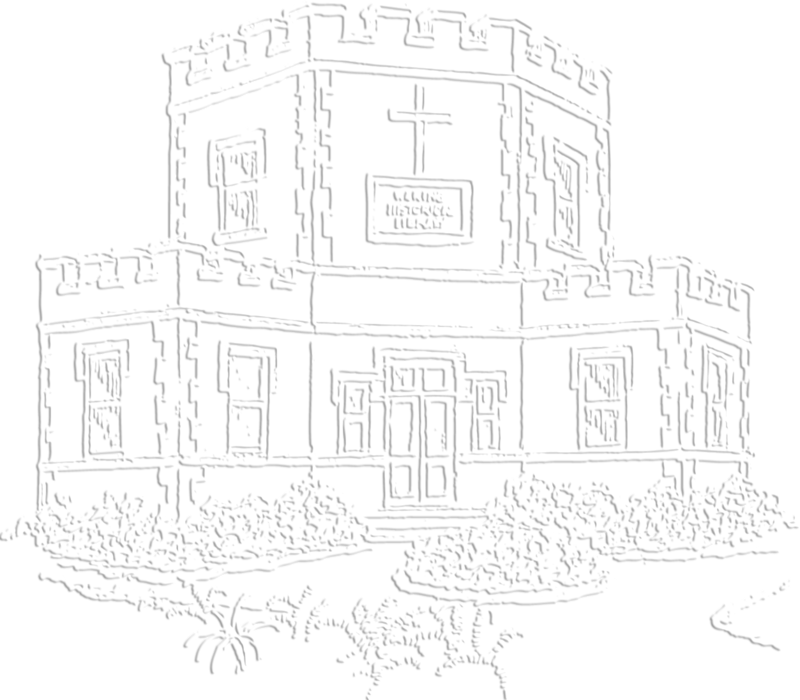 The Waring Historical Library's collections are comprised of rare books, manuscript materials, photographs, prints and other visual items, rare journals, museum artifacts, and archival collections. Although a portion of our collection is available online through MEDICA, researchers are encouraged to visit the library for access to the vast majority of the collections. Descriptions to the collections can be found by searching the MUSC Library Catalog and in consultation with the reference staff. The Waring Historical Library contains over 14,000 volumes representing six centuries of medical thought and practice. About two dozen books printed between 1513 and 1699 are among the most precious volumes in our collections. Additionally, a large collection of 18th and 19th books make up the vast majority of our holdings. The nucleus of the collection is the library of the Medical Society of South Carolina which began in 1791 with the gift to the Society of eleven titles by the brothers Drs. Samuel and Robert Wilson. This early library served the Medical College of South Carolina when it was established in 1824. 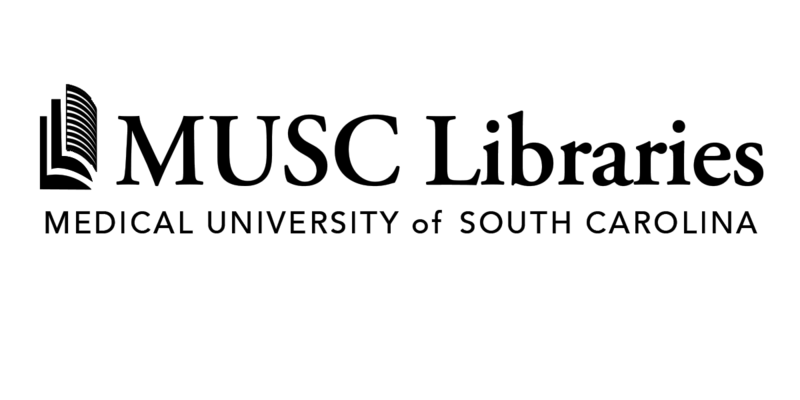 Search MUSC Libraries' catalog for books and printed materials in the Waring's holdings. In addition to a rich manuscript, book, and image collection, the Waring Historical Library boasts of an impressive artifact (museum) and audio collection. Thanks to a recent two year grant from the Gaylord and Dorothy Donnelley Foundation, the Waring has been able to photograph and present in MEDICA more than 500 objects from its collections. The museum collection includes medical chests, surgery and amputation cases, saddlebags, bleeding apparatus, an iron lung, examining tables, pharmacy items, and medical instruments. These can all be viewed on MEDICA. Search MUSC Libraries' catalog for museum artifacts in the Waring's holdings. In addition to a magnificent book collection, the library also holds hundreds of journals, housed in the Warren A. Sawyer Reading Room. The journal collection dates between 1758 and 1910 and contains journals from England, France, Germany and the United States. The Sawyer Room is located on the third floor of the main MUSC library and access to the journal collection is through the MUSC University Archives. Search MUSC Libraries' catalog for journals in the Waring's holdings. The manuscript collection contains over 700 linear feet of original documents about the history of the health sciences in South Carolina. Collection include the personal papers of South Carolina medical professionals, lecture notes of South Carolinians who attended the medical schools at Pennsylvania and Edinburgh, records of state and regional professional organizations such as the S.C. Pathology Society, the Charleston Dental Society, and Robert Wilson Medical History Club, early prescription books, physicians' daybooks, correspondence of graduates and faculty, records of the Medical Society of South Carolina, Roper Hospital, and the Shirras Dispensary. The Waring maintains a growing list of finding aids, which provide historical and biographical context to the collections, as well as guidance on the organization and arrangement of the items within the collection. Search MUSC Libraries' catalog for manuscripts in the Waring's holdings. The Visual Collections of the Waring Historical Library include drawings, prints, photographs, and paintings primarily relating to the Medical College and the history of medicine in South Carolina. Of particular note are the South Carolina Hospital Postcard Collection, the Colleton County Hospital Photographs, and the Charleston County Health Department Photographs. Also of interest is Dr. Joseph I. Waring's collection of medical caricatures, representing the work of Hogarth, Cruikshank, Daumier, Gillray, Rowlandson, Spy, and others. The small audio cassette and video collection contains oral histories of South Carolina medical personalities, medical school faculty, and includes World War II medical reminiscences. These interviews and recordings are being digitized and made available on MEDICA. For those items not digitized, access to them is through the Waring Historical Library reading room. More visual collections can be found by searching the Waring's catalog and MEDICA. 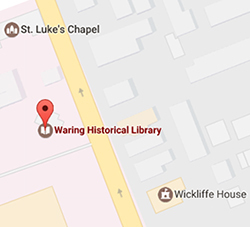 The Waring is a member of the South Carolina Digital Library initiative sponsored by PASCAL. The Waring's digital collections are also accessible through the Digital Public Library of America. MEDICA is powered by OCLC's CONTENTdm software.